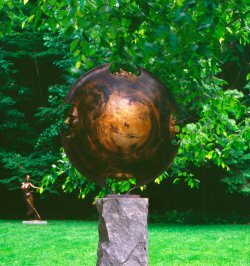 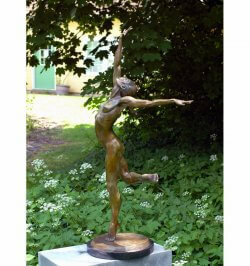 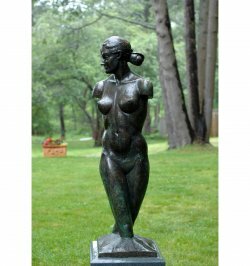 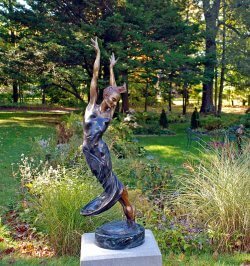 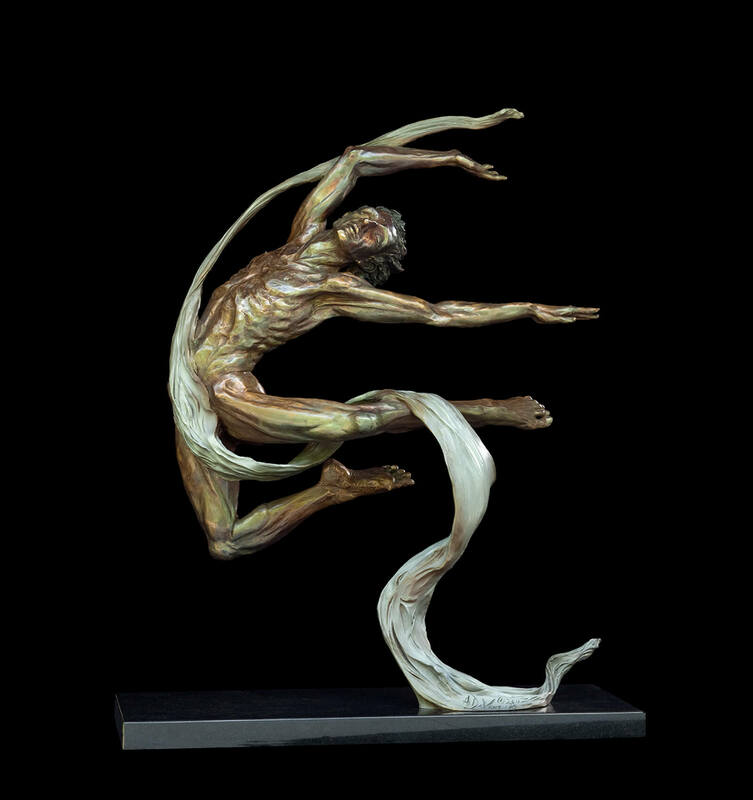 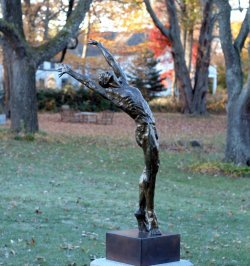 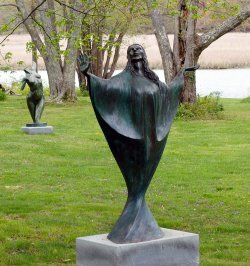 Bronze sculptures are particularly suited to outdoor display in sculpture gardens. 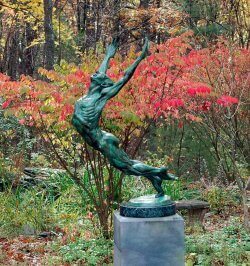 The varied elements of sculptural language can change from dawn to dusk with the light, dew, rain, snow, even cobwebs. 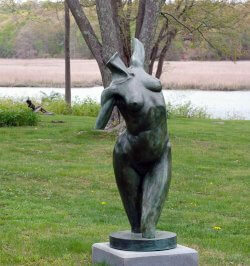 It is one of the great joys of sculpture outside to see the sculpture interact within the landscaped environment. 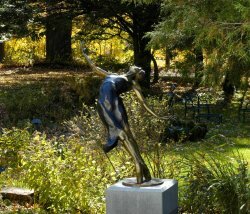 There is some maintenance to an outdoor work. 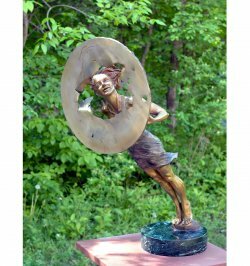 They should be washed in a light soapy solution at least twice a year and a fresh coat of paste wax applied and then buffed. 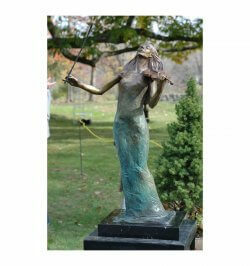 Considerations of the proper stone base are also necessary. 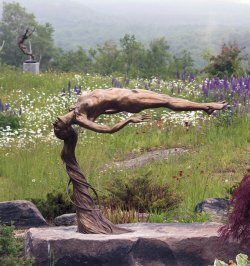 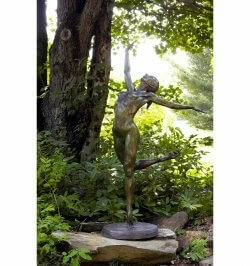 With a minimum of care, you will be thrilled to see your sculpture within the living landscape. 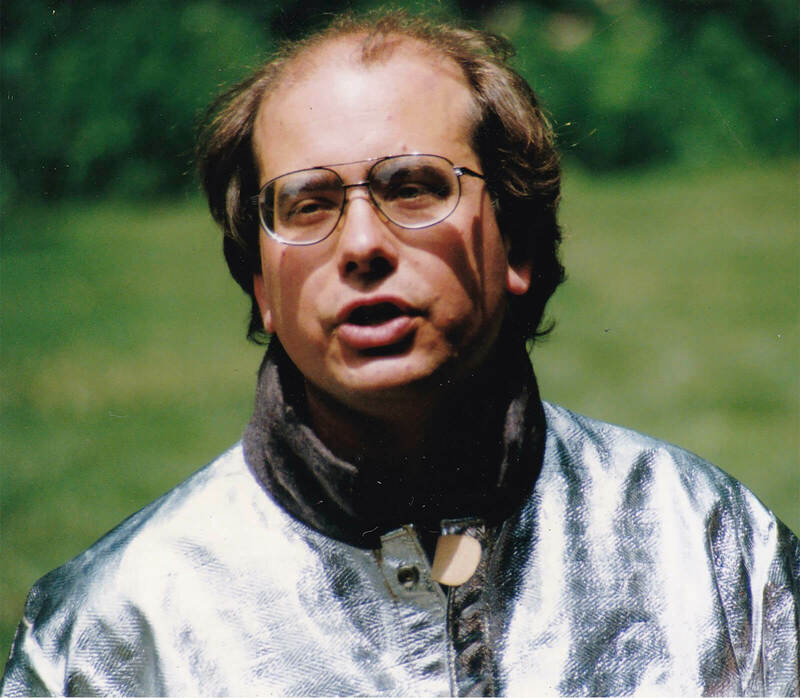 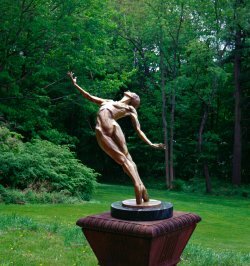 Andrew’s sculptures create a focal point in public and private sculpture gardens.